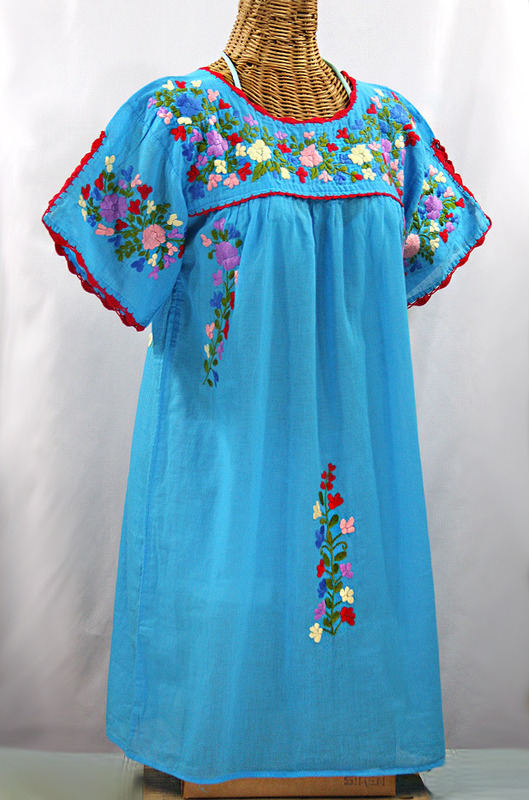 --- Please Select --- Medium (Fits sizes 4-8, some 10s) Large (Fits sizes 10-12, Some 14s) Sold Out. 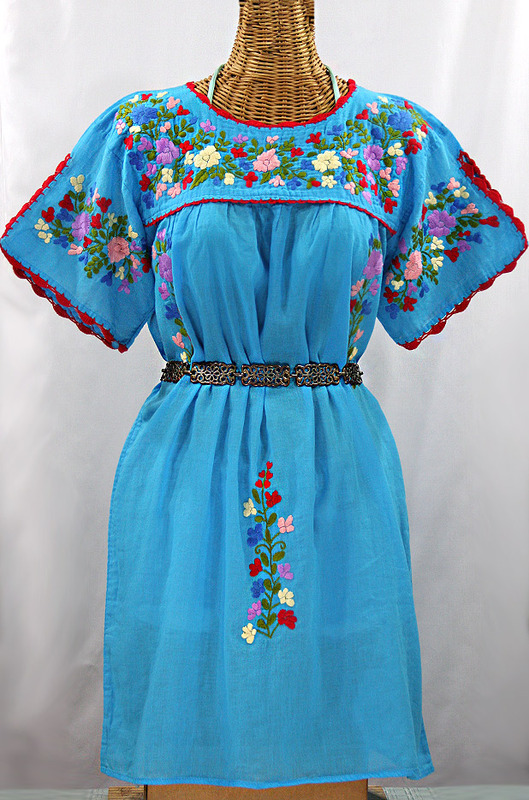 XL (Fits sizes 14-18) Sold Out. 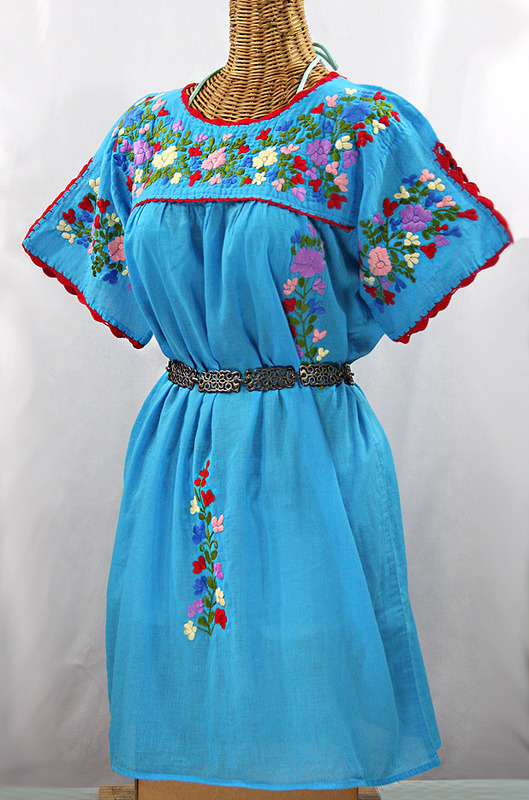 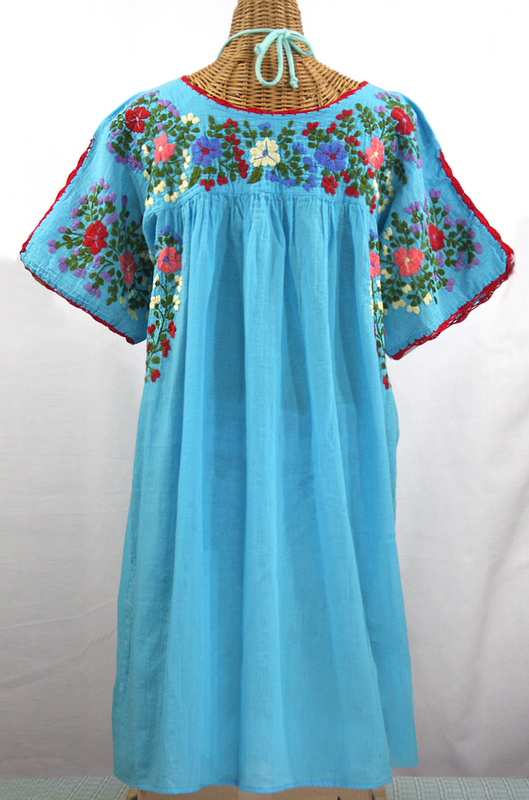 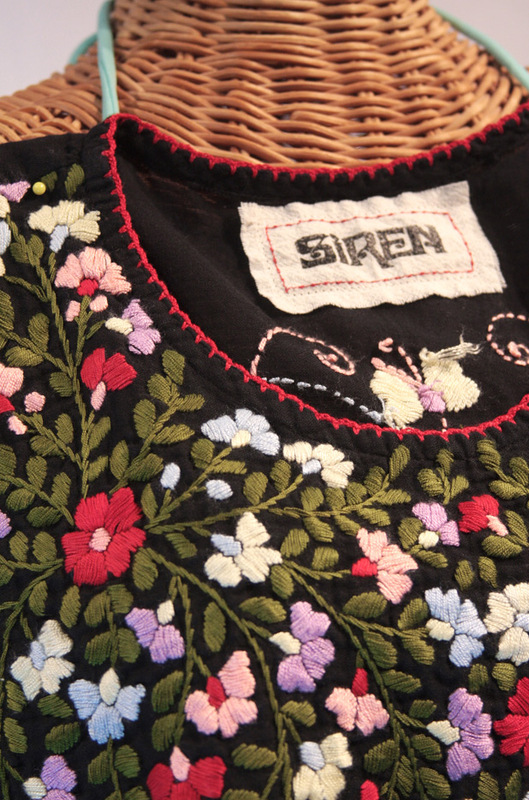 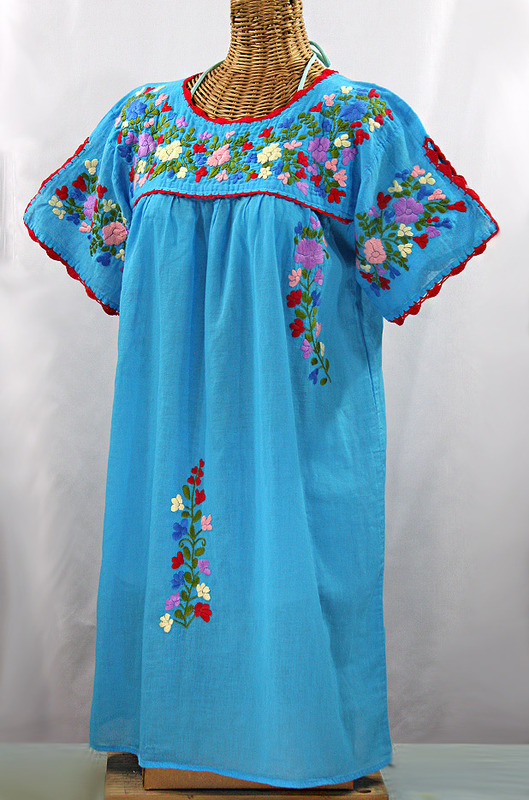 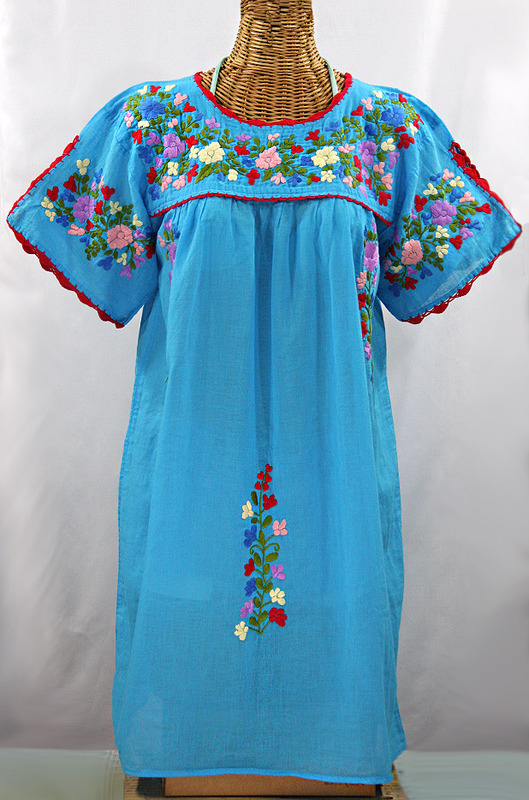 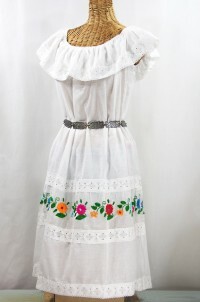 • Ornate floral embroidery stitched by hand with crochet split sleeve detail in the traditional Mexican style, available here in aqua with red trim and multi colored embroidery. 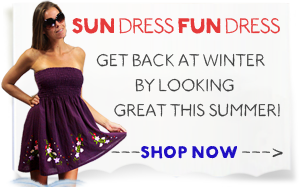 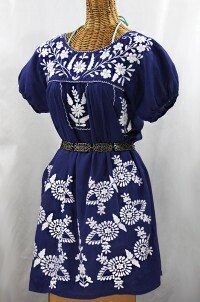 • Each dress is like a one-of-a-kind work of art, and can be worn as a dress or belted tunic (belt not included).